Each period in the history of costume has produced its own characteristic line and silhouette, derived from a cut and construction which varies considerably from age to age. Here are patterns taken from actual dresses, many of them rare museum specimens, illustrated by sketches of the dresses. There are notes on the production of women's dress, with references to early technical books and journals, together with diagrams from some of them. 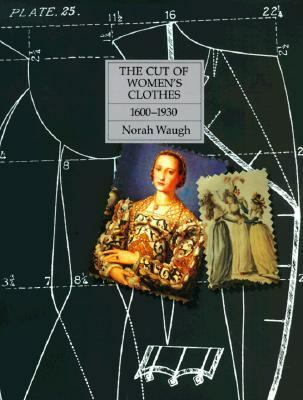 Numerous illustrations show the dresses as worn complete with their hairstyles, jewelry, decorations and accessories.Waugh, Norah is the author of 'Cut of Women's Clothes, 1600-1930 ', published 1984 under ISBN 9780878300266 and ISBN 0878300260. Loading marketplace prices 5 copies from $80.24 How does the rental process work?